This week had epic. Lots and lots of epic. Epic is about to go DOWN. Yes, those are Anime Network's crappy subs. But hey, at least I watched the episode legally. I’m going to try and make this quick since I need to dash to class real soon. Let’s do it in the form of screencaps, okay. I guess that's the name of the episode? THAT APPEARS AT THE END. 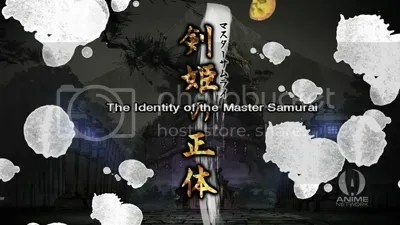 So I’m starting from Episode 2 since I saw the first episode so long ago, which was the Pre-Air shown back in August/September. 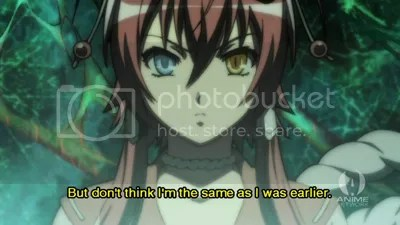 Not much happened in the first episode, but you know anime are like sometimes. The first episode is crappy and then the second episodes ends up being on a whole new level of awesome. 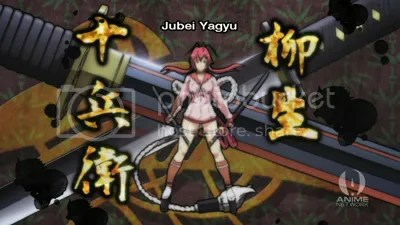 This was the case, as we finally got to see Jubei Yagyuu in action.